Click on any of the below names or photos to be taken to their individual pages. Watersedge Ur Under Arrest - "KOVU"
SHORT HISTORY: Orginally bred by the Sami people to herd reindeer in Lapland (Finland) and when not working they were pets to the children. During the long cold nights they would sleep in with the Sami people to help keep them warm. Today the Finnish Lapphund is a friendly loving companion and is one of the more popular family dogs in Finland. They have only been introduced to Australia relatively recently, the first arriving in 1995. They have tended to adopt the nickname 'Lappie' here. 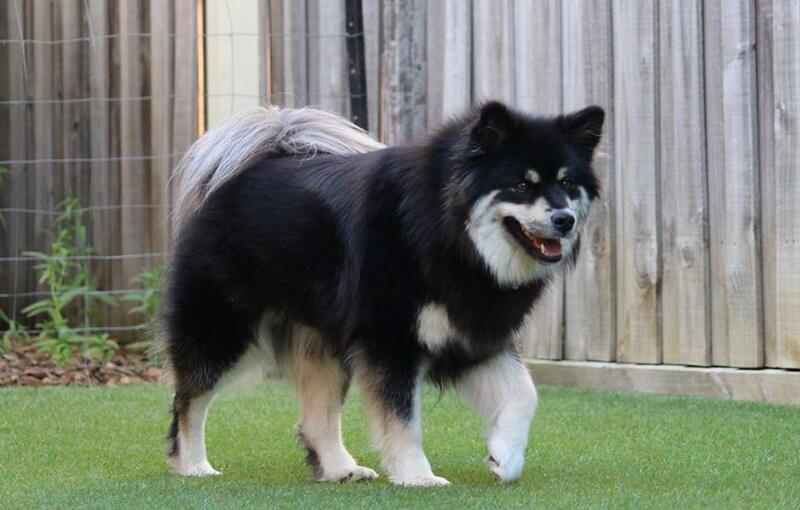 TEMPERAMENT:The Finnish Lapphund is extremely affectionate and loyal. The breed is not known to have aggression and it is not a attribute that breeders would tolerate in their breeding. They are normally a very social breed that tend to love most humans and other dogs. Some Lappies can be more independant then others though. 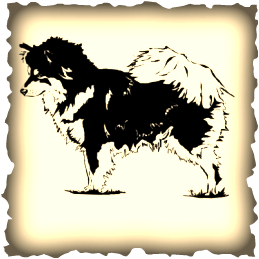 SPORTS & ACTIVITIES: The Finnish Lapphund is extremely intelligent and easy to train. Always wanting to please its owner, its a highly versatile breed to train for any dog sort, such as agility or obedience, and it has also been used overseas as a very successful tracking dog. GROOMING: The coat is relatively easy to look after; around 30minutes of grooming a week is required. Depends on the coat of the individual Lappie - some are more profuse then others. HEALTH: There are a few health issues in the breed, some smaller and less common then others. The main concern are the Eyes. When looking for a puppy make sure you ask to see the eye certificates of the parents to make sure there are no issues - it will lower the likelyhood of your puppy having these issues. PRA: There are various forms of PRA but the one that has been found to definitely occur in Finnish Lapphunds is the Progressive Cone Rod Degeneration type (prcd-PRA) common in many breeds. 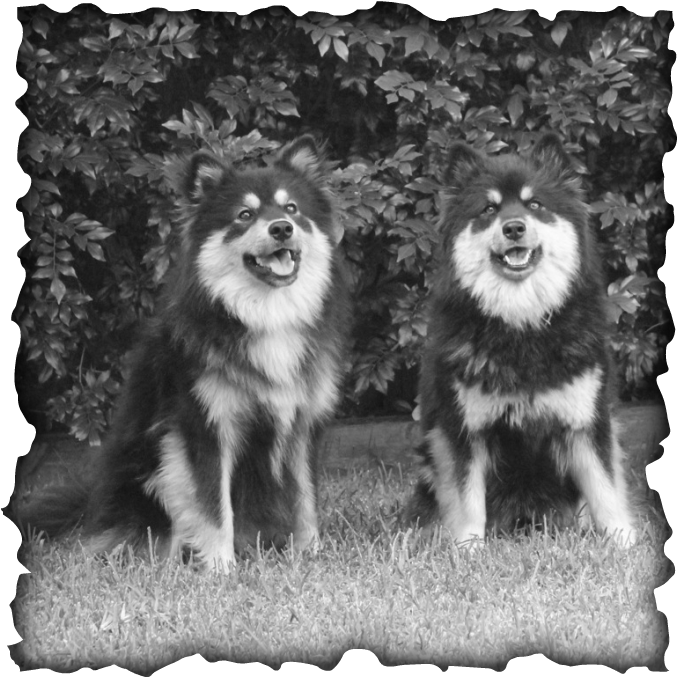 * Normal/Clear – These Lapphunds have the genotype homozygous normal. They have no diseased gene, with both copies of the gene normal. They will not develop PRA and cannot pass on the disease to offspring. * Carrier – These Lapphunds have the genotype heterozygous. They have one disease gene and one normal gene. Although they will never develop PRA themselves, they have an equal probability of passing on either their normal gene or their diseased gene to offspring. Hereditary Cataracts: There are numerous forms of cataracts with a variety of causes which can be found in many dog breeds. Some of these have been determined to be hereditary - breeding stock should be eye-checked regularly. Ive been doing some FLappie statistics would you like to see what i have learnt? First Flappie imported into Oz was in 1995, first litter born was in 2001 by Brambleway Kennel. Riki (Theldaroy Anyone Dare to Diffa) was the youngest GR CH titled at just over 25months of age, youngest supreme titled and first australian breed supreme titled. Laani (Theldaroy Wild Not Me) was the first female titled GR CH, held that place for 6years and Laani was the youngest in-group winner. Below is the Breed standard for your own personal convience. Click HERE to see one interpretation of the Standard - with pictures by Saara Sampakoski.